Is Dry Firing My Rifle Okay? One of the biggest myths in the gun world is that dry firing is not good for a rifle. There is nothing regarding dry firing that will damage the rifle in any way. When building our rifles, we dry fire the gun repeatedly to test trigger pull weight and also to make sure the rifle does not slam fire. We also encourage our customers to dry fire their rifles as a training tool. One of the most valuable skills in the shooting is trigger control, and dry firing is a great way to practice maintaining proper form and control of your trigger. What is the Best Caliber? I would love to say that there is one perfect caliber that is good for all aspect of shooting and hunting, but the truth is that there is no perfect caliber. This is ultimately up to the shooter. I personally am a 6.5 Creedmoor fan. It is one of those calibers that can do pretty much everything well for me. 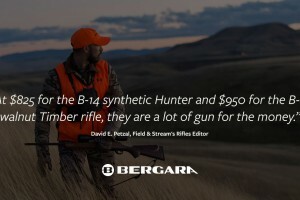 If you were to ask Bergara Custom Rifle Builder, Brian Farrell, the same question his answer would be a .308. The truth is that the perfect caliber depends on what you’re going to be happy with. Why is Glass Pillar Bedding so Important? Glass pillar bedding is a process that uses a marine grade two-part epoxy that is spread into the body of the stock, and then the barreled action is clamped down into the stock for a few days. When the epoxy is dry, it will be an exact fit between the barreled action and the stock. This is important because it eliminates movement between the barreled action and the stock. This, in turn, will increase the accuracy of your rifle. Glass Pillar bedding is of particular importance in wood stocks because the wood will expand and shrink with different temperature and humidity changes. This can cause the action screws to become loose and need to be tightened, which can lead to over tightening and causing fractures in the stock. 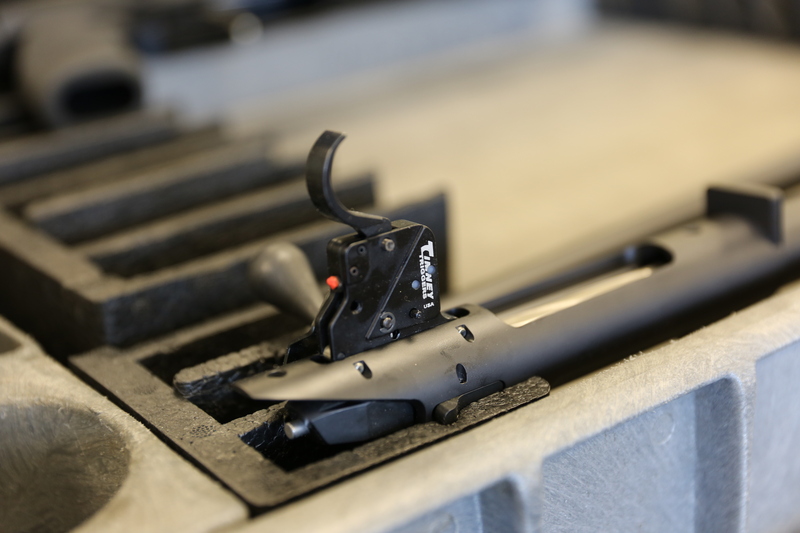 When pillars are installed, and the rifle is glass bedded, then the stock is allowed to expand and contract as nature intended without the need to re-torque the action screws. How does a Muzzle Brake Work? Ever wondered just how a muzzle brake works? Well, when the bullet leaves the barrel, hot gasses are released. 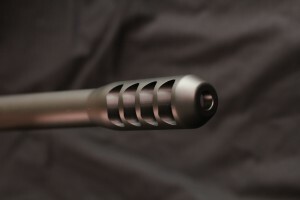 The job of the muzzle brake is to literally put on the brakes, so when the bullet leaves the barrel and passes through the muzzle brake and the gasses are forced through the open ports. When the gasses are forced through the ports on the brake, they are actually pushing the rifle forward just a tad. This is what reduces the recoil of the rifle, essentially putting on the brakes. Why Use a Muzzle Brake? There are many reasons to choose a muzzle brake. Probably the most well-known reason is recoil reduction. If there is a rifle chambered in a larger caliber, then the customer may choose to have a muzzle brake to reduce the recoil. Depending on the brake design there could be a reduction of 25-40%. The downside is that all brakes are deafening. The other and most overlooked reason to use a brake are to watch the bullet’s impact. I like to run a brake on my rifle because I can see the impact through my scope, If I happen to miss, then I know how much and what correction I need to make for the next shot. This is not always the case with all rifles. The ability to spot the shot through the optic will depend on the following: Caliber, weight, the magnification of the optic, and the shooter.